With so many detergents on the market, it’s important that you choose the right one. Whyte Specialised Equipment has formulated a unique solution to provide you with confidence and peace of mind that you can get any job done right. Our carpet detergent is the first chemical your business will need to properly clean carpeted homes and offices. Whyte’s detergent is a premium quality extraction powder. The innovative emulsifier formulation has a well buffered pH, and a unique combination of solvents, detergents and water softeners designed to cut through the toughest of soils. We take the ‘sweat’ out of carpet cleaning. This product is perfect for the hottest truckmount cleaning system, holding up well under ultra-high heat. This minimises any residual deposits and protects against clogged spray jets, providing a superior clean without sacrificing your equipment. 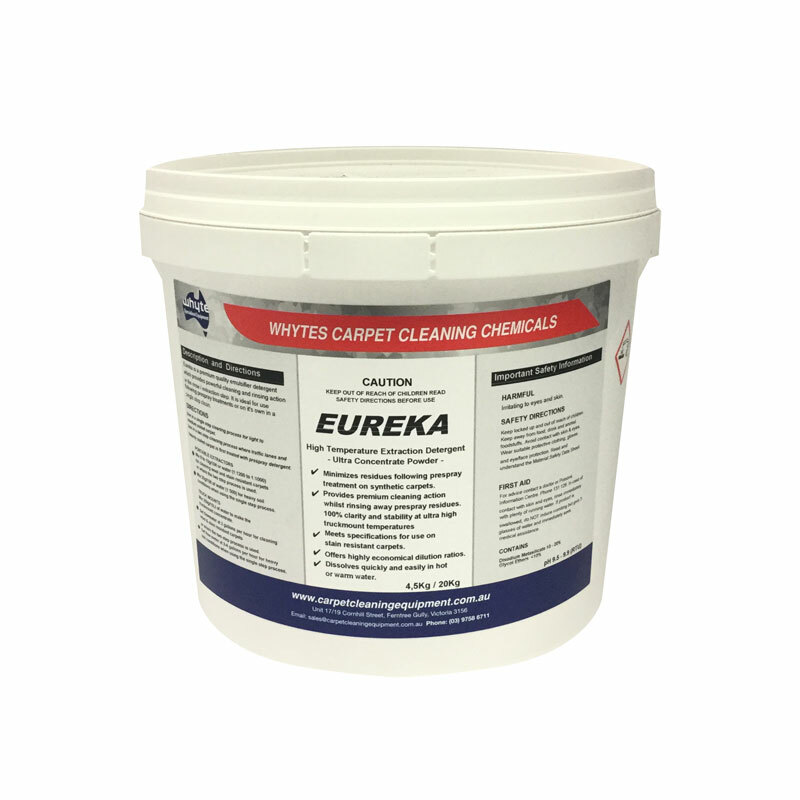 To ensure a high quality result, couple our detergent with our carpet extraction chemicals. 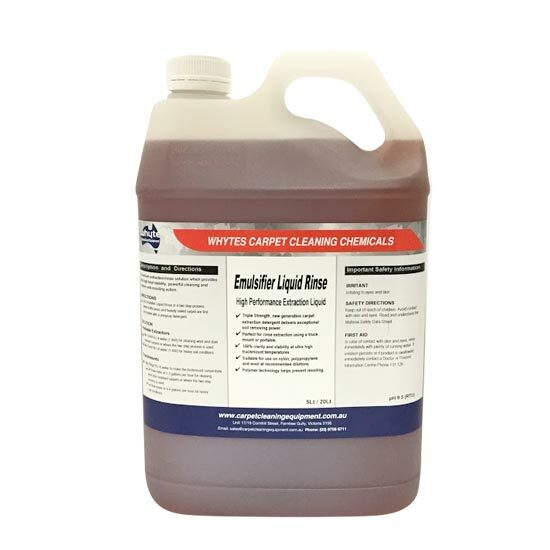 Our emulsifier Liquid Rinse is a premium extraction and rinse solution, combining ultra-high heat stability and polymer anti-resoiling action, to provide a powerful clean. Carpet rinse liquid cleaners will remove any residue left in the carpet fibres, finishing any job to a high standard. Based in Ferntree Gully, our emulsifier and detergent to businesses across Melbourne, Canberra, Sydney, Brisbane, Darwin, Perth, Adelaide and Hobart – and across regional Australia.